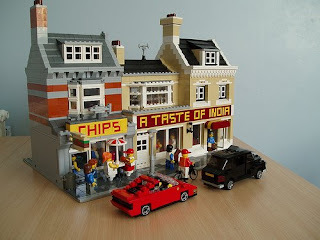 Brick Town Talk: Indian Tastes and Chips - LEGO Town, Architecture, Building Tips, Inspiration Ideas, and more! try the 'gatehouse' I posted it in my blog. very good archetecture. Sorry for overeacting.